SAN DIEGO – Dean Ehrlich stood in the Everi Holdings booth at the National Indian Gaming Association’s annual tradeshow and explained why the space was roughly one-fourth the size of the equipment manufacturer’s display at last year’s Global Gaming Expo. This time, he said, the company didn’t need to bring all the bells and whistles. 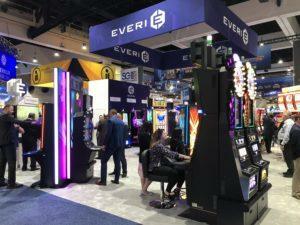 At G2E in Las Vegas – the gaming industry’s largest annual gathering – Everi rolled out new themed game concepts based on the films The Mask and The Karate Kid that will likely reach casino floors late this year. At NIGA, the Indian gaming market wants to see what’s available immediately. GameArts President Mike Dreitzer had a similar view. The small Las Vegas-based company has had a long relationship with tribal gaming through its keno and bingo products. Now that it is branching out into the slot machine world, the company views the Indian Gaming tradeshow as an important launching point. There are, however, some similarities between G2E and the Indian gaming tradeshow in terms of pomp and showmanship. For example, just after the show opened, NIGA Chairman Ernie Stevens, Jr., paraded through the tradeshow floor and in and out of various booths with several of his celebrity friends, including retired NBA star A.C. Green and comedian George Lopez. G2E’s annual tradeshow covers more than 293,000 square feet of the Sands Expo and Convention Center in Las Vegas. 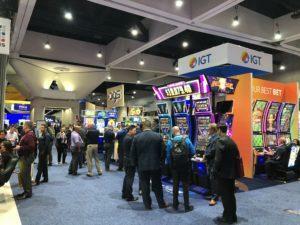 This year’s Indian gaming show took up roughly 90,000 square feet inside the San Diego Convention Center. The strategy for equipment providers large and small at NIGA was to bring products geared toward the vibrant Indian gaming industry, which produced a record $31.5 billion in gaming revenue in 2016. According to Casino City’s Indian Gaming Industry Report, tribal casinos utilized 358,713 gaming machines that year, something that is not lost on the manufacturing sector. “Years ago, you would create one product and assume it worked everywhere. Now development is much more targeted,” said Konami Gaming Chief Administrative Officer Tom Jingoli. 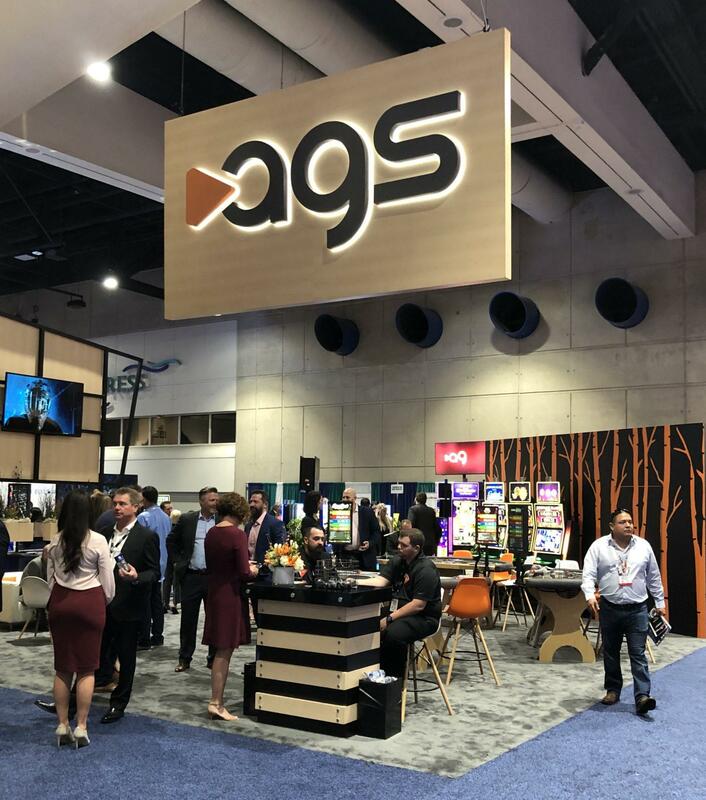 For a company like AGS, which derives more than half its revenue and cashflow streams from the tribal gaming market, NIGA might be of even larger importance. That’s one reason AGS CEO David Lopez wanted to spend some time in the company’s NIGA tradeshow space this year. Last month, AGS renewed its long-term contract with Oklahoma’s Chickasaw Nation, which secured the Las Vegas-based company’s installed base of more than 3,200 games in the tribe’s 22 casinos, including the massive WinStar World Casino, the country’s largest casino, which has more than 8,200 total slot machines. Lopez said the Indian gaming tradeshow provides the company’s largest setting next to G2E. 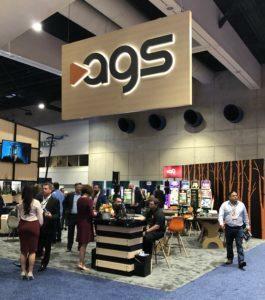 AGS considers G2E “more of a teaser market” for what could be coming down the road, but the company has unveiled new gaming products during the Indian gaming tradeshow in the past. “We’re a little different in some senses, because this show is a chance to display something new just for this market,” he said. Catheryn Lai, Scientific Games’ vice president of products and marketing, said the NIGA tradeshow allows the company to be more targeted in what games it wants to show off. The company displayed a new wide area progressive slot machine developed specifically for tribal casinos. It also had some games on hand that could work in both commercial and Indian gaming markets. 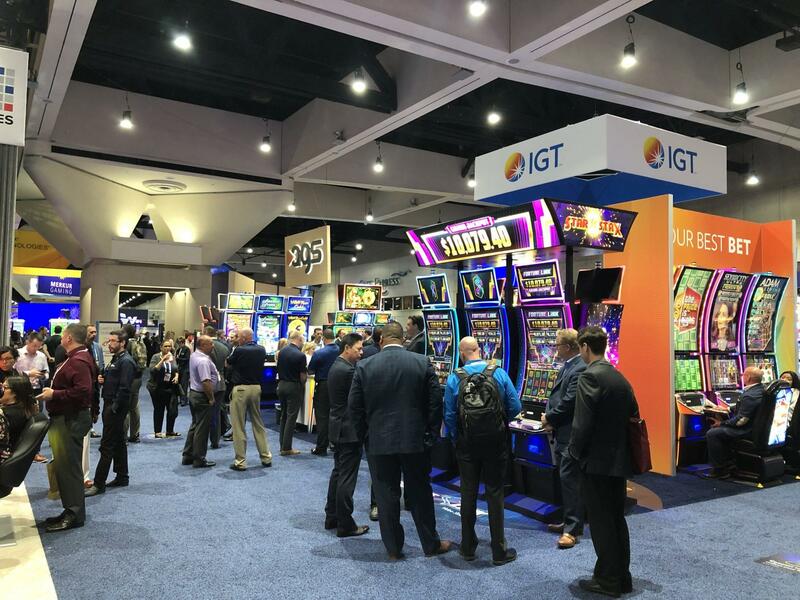 International Game Technology Chief Commercial Officer Nick Khin said the company has long unveiled new games, slot machine cabinets, and system products at the NIGA show. “It’s a tremendous showcase for us,” he said. IGT says it sees particular opportunity in sports betting within the Indian market. Casinos in two tribal markets – New Mexico and Mississippi – have recently launched sports betting, and IGT provides the sportsbook management system for the Pearl River Casino, which is operated by the Mississippi Band of Choctaw Indians. Khin said the U.S. Supreme Court’s repeal of the Professional and Amateur Sports Protection Act last year created an opportunity for IGT, which had begun expanding its sports betting management system three years earlier. Both IGT and Scientific Games displayed their sports betting products at the show, albeit primarily as informational installations. Legal sports betting has, thus far, been slow to arrive in Indian gaming states, due to legislative matters and uncertainty over reopening tribal compacts.